“What I saw in the Concierge at Ward was an opportunity to build relationships,” says Pono Shim, who has worked for Ward Properties for 17 years. Seeing an open door to entrepreneurship, Pono accepted the concierge service for the Ward 16 Theatre, becoming its first strategic partner—and beyond this, he saw a brighter prospect in being able to bring individuals and businesses together. Today, the Concierge Services at Ward plays an important role in meshing people and building stronger ties within the Islands’ populace—and what started as a way of “keeping in touch” with friends and family has grown into a database of over 10,000 long term and trusted relationships. 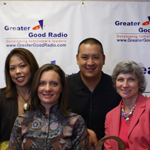 Officially opening in August of 2001, the company strives in building value to consumers and revenues for partnered businesses and organizations. Marc C. Tilker is president and chief executive officer and one of the principal owners of the Marathon Group of Companies. The Marathon Group is composed of BEI Hawaii (Hawaii’s largest distributor of industrial chemicals, fertilizers, and agricultural products); HT&T Hawaii (Hawaii’s largest heavy and medium-duty truck dealer) including Peterbilt, Volvo and GMC dealerships and BES (BEI Environmental Services) which was sold in December 2005. 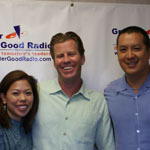 Marc spent 10 years with C. Brewer & Company, Ltd. most recently as Executive Vice President and Chief Financial Officer of Brewer Environmental Industries LLC, a $100 million diversified corporation operating on Oahu, Kauai, Maui, and Hawaii with satellite offices in Guam, Tokyo and Seattle. 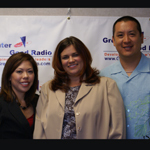 Prior to that Marc was with Deloitte and Touche in Honolulu. Any one can be of service to others and to the environment in their own special way. Regardless of financial and physical capacity, an individual may perform a civic duty by getting down to the basics. For Chris Harris, one of the partners at Intech Management, Shredex and Island Shell, it is by collecting trash during a leisurely walk along the beach. Having a strong connection with the ocean, Chris volunteers for the Surfrider Foundation and has been involved with the Blue Water Task Force doing water testing back in college. 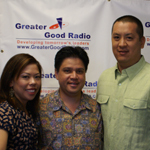 RON NAGASAWA - Publisher of MidWeek, HILuxury Magazine and iflygo. Ron Nagasawa joined then fledgling Midweek in 1984 as a sales assistant. Staying with the company for 24 years, Ron has seen the growth and development of the publication, which today has more than half a million in circulation. Ron stepped up as publisher in 2001. 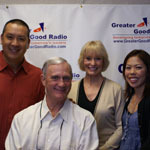 In this Greater Good Radio interview, he talks about the beginnings of his career working for a foundation catering to disabled children in California. Moving to Hawaii as a teacher for the Department of Education, Ron has worked with special children, which touched his heart and taught him many valuables lessons in life. Stan Masamitsu not only inherited a thriving business in a dynamic industry, he has also been imbibed, through his parents, with a heart and mind veered towards helping other people—albeit initially, Stan’s intention of joining non-profits was to publicize his company. But to Stan, being able to contribute in a charitable way has had its greater fulfillment. “As I was getting involved in some of these non-profits I have personal satisfaction in knowing that I could be of assistance to somebody,” he said. 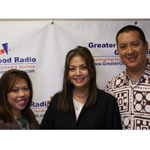 Greater Good Radio brings Barron Guss, president and chief executive officer of Hawaii’s largest human resources company, ALTRES. During his free time, he can be found putting his imagination to work in design and technology projects. He is a holder of three U.S. patents including a baby bottle design and a microchip-based, radio-frequency time and attendance system. He also designs radio control model aircraft and is invited to do flight demonstrations throughout the world. On top of his seemingly busy lifestyle, Barron actively supports the Muscular Dystrophy Association, Parents and Children Together (PACT), Blood Bank of Hawaii, and Adopt-a-Platoon. 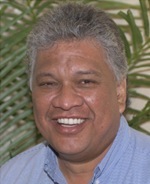 He is currently President of the Board at Academy of the Pacific in Honolulu and is the former President of Temple Emanu-El in Honolulu. He is Rotarian and a lifetime member of the Academy of Model Aeronautics. 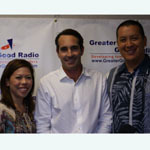 Greater Good Radio brings to the airwaves Dustin Sellers, co-founder of ProService Hawaii, one of Hawaii’s largest outsourced employee administration companies. In this interview, Dustin talks about the inception of ProService and its “soulful” origin – having been founded in the outer islands. He shares his opinion about soccer and why he believes that the state will be able to produce top-notch talents to represent the whole country. Dustin likens the sport to business, which he says “is a long game with a few goals that make all the difference”.